Just Released: Powerful Ideas from a Dream Team Collaboration! 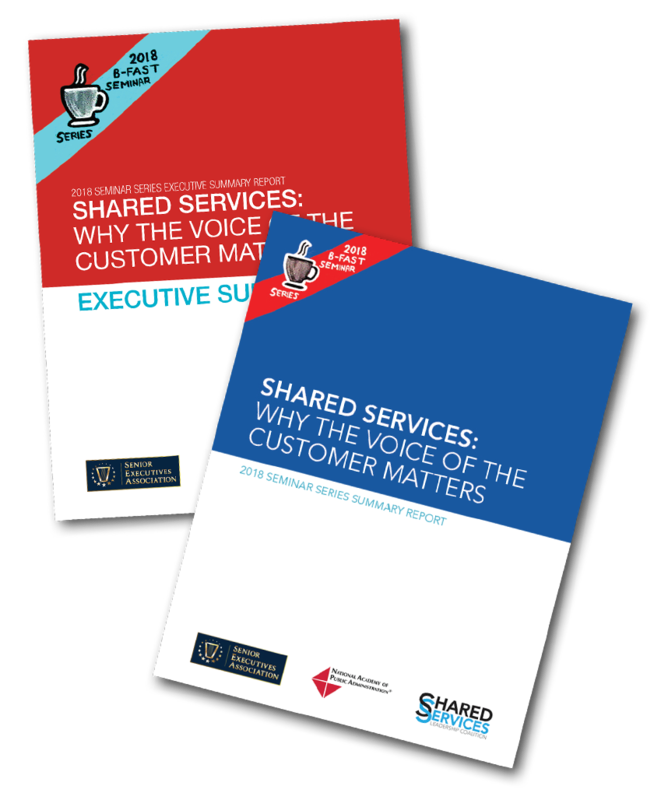 The Shared Services Leadership Coalition, along with our partners the Senior Executives Association and the National Academy of Public Administration are pleased to publish a report on our 2018 Shared Services Breakfast Seminar Series titled: Shared Services: Why the Voice of the Customer Matters. The report summarizes key take-aways from the seminar series and includes 15 case studies of private sector shared services organizations conducted by the President’s Council on Management Improvement in 1982 that are still relevant today. See the full report here and a brief executive summary version here. Please feel free to send us your comments on the report to Info@SharedServicesNow.org. This entry was posted by paulwind on Tuesday, December 18th, 2018 at 8:38 pm and is filed under Breakfast. You can follow any responses to this entry through the RSS 2.0 feed. You can leave a response, or trackback from your own site.